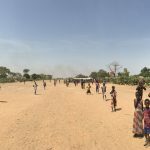 For the missionary or the church worker a new airstrip means the promise of a vital link to the capital or easier access to healthcare, provisions, and personnel to assist in the work. For the community at the airstrip it can represent a major step forward for the usually small village. They often see it as a step up in status knowing now they have an ‘airport’. For the children it is definitely exciting because now a loud, shiny airplane will be coming in with all the wonder and joy that brings. 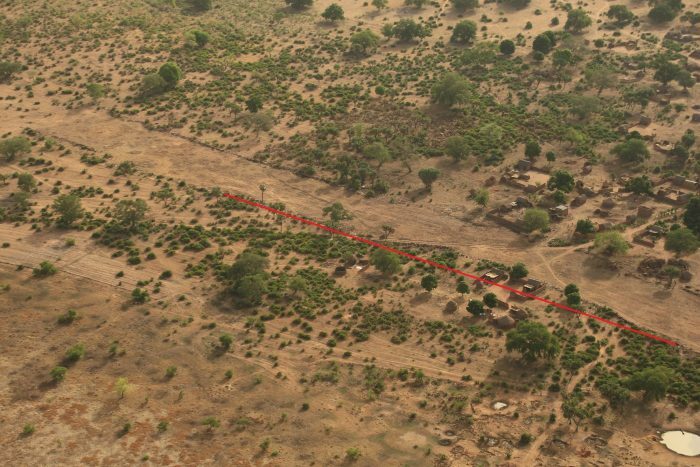 We recently opened the old airstrip in Koblagué in south central Chad. There was an old airstrip there but MAF had not landed on it for over 12 years. That much time will really change an airstrip for the worse. So when SIL missionary Andrea Suter called us to ask if we would look at Koblagué back in 2016, we were hesitantly optimistic that we could get it going again. First we asked an engineer from SIL to go and survey the airstrip. He was already working for SIL in N’Djamena at the time and was willing to go down and take some measurements to draw up a plan. Once his plan was made the local population got to work clearing the extra 500 meters which were needed to ensure the strip could be used safely. Unfortunately at about this time a man from the village built his new compound halfway into where the airstrip needed to be. Not to worry, the people from the village just went around his house and kept on clearing. With the clearing work done they called us to come and have a look with the plane. On the next flight down that direction I diverted to Koblagué and set up for a low pass. Unfortunately what I saw as I turned final made my heart sink. They had gone around the problem house and it showed! 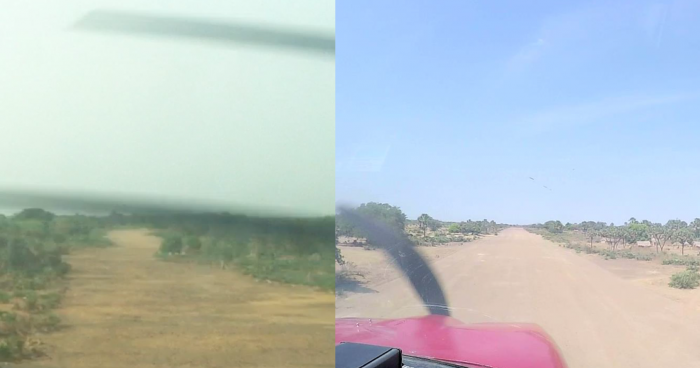 To add to the unfortunate series of events, due to circumstance, it wouldn’t be until mid-2018 that MAF personnel would be able to get down to Koblagué by road for a proper airstrip inspection. Thankfully in that time the offending abode had been ushered off the strip and with the help of a Chinese road grader, the airstrip was looking useable. One last mango tree had to be removed and then on March 15th 2019, MAF was able to make the first landing in 12 years at Koblagué. 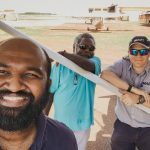 “It took a lot of work by many different people to get Koblagué to the point where we could land the Cessna 182 on it today. It would be tempting to turn around and say ‘Mission Accomplished’ but as I was sitting with the SIL missionary and the local pastors I was reminded again of the reason we do what we do in MAF. Before the landing, these guys were hard at work checking their first draft of the Gospel of Mark in the local language. It was the arrival of the plane that caused them to take a break from that important work. 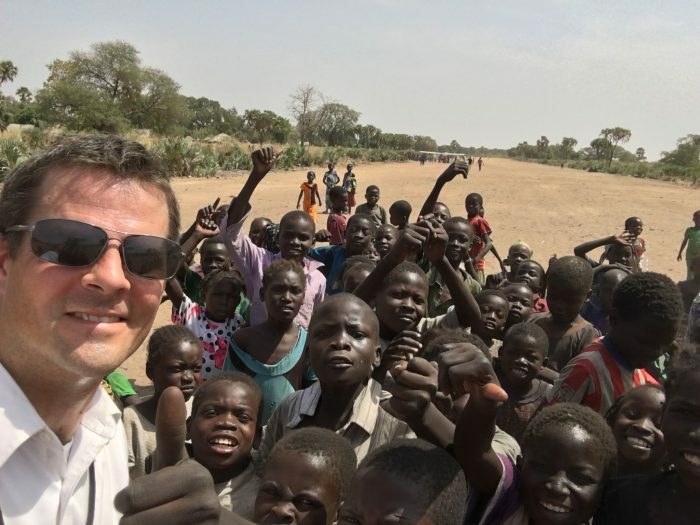 As I sat with them enjoying a Coke I glanced at the first draft of Mark on the rough bench beside the Chadian translator and had a moment of clarity. All that work to open the Koblagué airstrip is worth it because of this well-handled dirty stack of papers beside me and the work that is being done on it.” – Pilot Phil Henderson.